Zipp’s 202 Firecrest® Carbon Clincher is all about aiming upper. We took our vintage 202 Tubular wheelset – the mythical climber’s better half – and remodeled it right into a stiff, light-weight and aerodynamic Carbon Clincher speed weapon perfect for each road you trip. At 1,450g, the 202 Firecrest is the lightest entry within the Firecrest Carbon Clincher lineup. 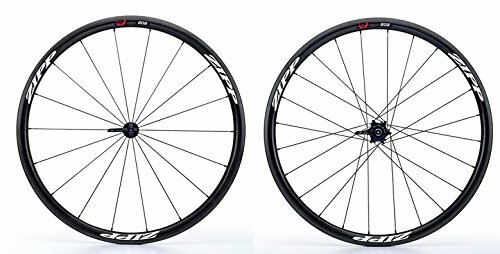 The Zipp® 202 Firecrest Carbon Clincher keeps the vintage 32mm rim intensity of its tubular predecessor although, with the Firecrest profile, now has a much broader 25.4 mm max rim width. The effects redefine what is conceivable with a do-it-all vintage road wheel. The 202 Firecrest Carbon Clincher now’s laced to the upkeep-unfastened seventy seven/177 hubset, with its absolute best-in-magnificence sturdiness and progressed bearing coverage, all with out a pre-load adjustment wanted.